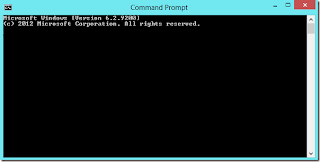 Command Prompt is the tool in Windows which allows users to interact with their computer from a character user interface(CUI). It allows users to bypass most restrictions that are enforced on the Windows explorer based GUI. Hence, it can also be used to remove viruses and malware and also undo their effects. To avoid this, most viruses disable command prompt. Some administrators also purposefully disable it to avoid users changing critical settings of the computer. In these situations, if you run the command prompt (cmd.exe), you will get an error saying "The command prompt has been disabled by your Administrator". However, there are ways in which you can re-enable it. This article contains some such few simple techniques using which you can easily enable the command prompt. Home editions of Windows do not contain the Group Policy Editor. Registry Editor is an in-built tool in Windows which is used to view and edit the Windows registry. You can use it to easily enable the command prompt by simply modifying a registry key. To do so, follow these steps. 1) Users running Windows 8, Windows 7 and Windows Vista, go to Start>Search. Users of Windows 10, go to Start>Search. 3) Registry Editor will start. If it is disabled, you will need to enable Registry Editor first. 4) Navigate to HKEY_CURRENT_USER\Software\Policies\Microsoft\Windows\System. If the Windows key is not there, you will need to create a new key called Windows. Also, if the System key is not there, you will need to create it. 5) In the work area on right side, double click on DisableCMD and set its value to 0. If you cannot locate DisableCMD, you will need to create a new DWORD value called DisableCMD and set its value to 0. 6) Close the Registry Editor. The command prompt should immediately be accessible. If it isn't, restart your computer. 1) Click on Start and go to Run. Users of Windows 10, Windows 8.1, Windows 8, Windows 7 and Windows Vista, go to Search. 2) Copy and paste the following command and execute it. 3) This should enable the command prompt. If it is still not enabled, restart your computer. The methods mentioned in this article work on Windows 10, Windows 8.1, Windows 8, Windows 7, Windows Vista and Windows XP.